 The Supreme Court is the highest court in NSW. It hears the most serious criminal matters as well as criminal appeals. It can also hear civil matters. Colonial architect Walter Liberty Vernon designed the courthouse building on St James Road, adjacent to the Elizabeth Street Registry, to house a Court, for full sittings of the bench, and for chambers, offices, and rooms for barristers, witnesses and the jury. This court house was completed in 1895 in Federation Free style. Entry is via St James Road. A bus route to the city, Town Hall, or Wynyard provides convenient access to this location. Martin Place and St James train stations provide the closest rail access.